How are we to navigate the unknown — the vast chasm between what we know, what we don’t know, and coming to grips with what is unknowable? This week, I caught myself feeling guilty as I walked into my office and looked at the ever-growing number of unread books. The library, as I call my office, is full of books I might never get to in my life let alone read this week. (See that picture above, I haven’t read most of those books.) My bookshelf, which seems to reproduce on its own, is a constant source of ribbing from my friends. “You’ll never read all of those,” they say. And they’re right. I won’t. That’s not really how it works. Some questions are only asked by people with a fundamental misunderstanding. The friends who walk into my office and ask, “have you read all of these” miss the point of books. In his book, The Black Swan, Nassim Taleb describes our relationship between books and knowledge using the legendary Italian writer Umberto Eco (1932-2016). The writer Umberro Eco belongs to that small class of scholars who are encyclopedic, insightful, and nondull. He is the owner of a large personal library (containing thirty thousand books), and separates visitors into two categories: those who react with “Wow! Signore professore dottore Eco, what a library you have. 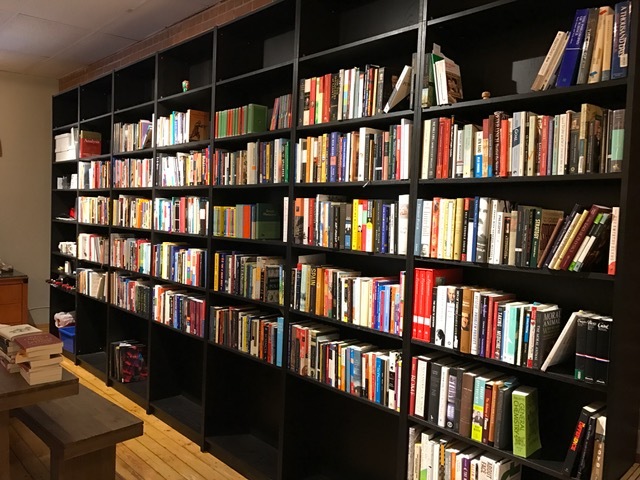 How many of these books have you read?” and the others—a very small minority—who get the point is that a private library is not an ego-boosting appendages but a research tool. The library should contain as much of what you do not know as your financial means … allow you to put there. You will accumulate more knowledge and more books as you grow older, and the growing number of unread books on the shelves will look at you menacingly. Indeed, the more you know, the larger the rows of unread books. Let us call this collection of unread books an antilibrary. A good library is filled with mostly unread books. That’s the point. Our relationship with the unknown causes the very problem Taleb is famous for contextualizing: the black swan. Because we underestimate the value of what we don’t know and overvalue what we do know, we fundamentally misunderstand the likelihood of surprises. My library serves as a visual reminder of what I don’t know.